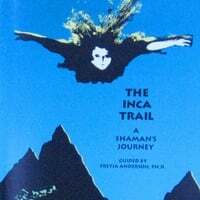 Take this guided meditation of a shaman’s journey on the Inca Trail, gateway to the Mysteries of the Inca tradition. Meditations on the arduous four day journey of the Inca Trail are preceded by preparatory ceremonies with water and with fire. Follow these guided visualizations; travel in mind’s eye, in spirit body, to work with the elements and with the spirits of nature to transform your energy, and help shape your personal destiny. Walk in beauty, receiving the support you need to meet today’s challenges. Centuries of travelers have used these trails to shift their availability to the guidance of Spirit, to shape their personal responsibility and attention to walk in a sacred manner. Journey into other realities that overlap our time and space. Choose the highest possible destiny, and in Machu Picchu, experience empowerment to help manifest your dreams.